Disappeared News: APEC: Where's Labor? To produce something you need raw materials, labor and capital. But only capital is represented at the Asia Pacific Economic Cooperation (APEC) meetings. Labor is discussed, promises are made, jobs are outsourced. The APEC Business Advisory Council consists of three representatives from each APEC Country. The APEC Business Advisory Council (ABAC) holds meetings in conjunction with APEC but there is no corresponding APEC Labor Advisory Council. The U.S. members are executives with Procter & Gamble, which grossed $82 billion in 2011; Caterpillar Inc., the world's largest manufacturer of construction and mining equipment, diesel and natural gas engines and industrial gas turbines with assets of $70 billion; and JPMorgan Chase & Co., the world's largest public company with assets of $2 trillion. Banking: Industrial and Commercial Bank of China Limited is the largest bank in the world with a market capitalization of USD 269 billion, has 386,723 employees, 3.61 million corporate clients and 216 million individual customers, with a network of 16,232 outlets across China, 162 overseas subsidiaries and a global network. The Bank of Tokyo-Mitsubishi has revenue of $30B. JSC VTB Bank (Russia) has total assets of $153 Billion (2010). Telecommunications: LG Electronics (South Korea) is a global electronics and telecommunications company. LG Electronics is the world's second-largest manufacturer of television sets and third-largest producer of mobile phones, with revenue of $ 48.2 billion (2010), profits of $ 1.1 billion (2010) and 80,000 employees. Grupo Carso is a global conglomerate company owned by the Mexican tycoon Carlos Slim. The conglomerate was worth over $60 billion US dollars and held the largest telecommunications company in Latin America under its belt of companies. HTC Corporation (Japan) is a telecommunications company which posted revenue of $11B. Cinépolis (Mexico) is the largest movie chain in Latin America and the fourth largest in the world with 230 theaters, 2,160 screens and over 13,000 employees. Financial: Gresham's Private Equity (Australia) is a private equity manager specializing in leveraged buy-outs valued between $100 and $500 million. Cathay Financial Holding Co., Ltd is one of the largest financial services firms in Taiwan. Agriculture: COFCO is China's leading oil and food importer and exporter, and one of its largest food manufacturers. Jollibee (Philippines) is the country’s leading fast food chain with 600 domestic stores and over 50 international stores. Chemicals & Minerals: Mitsui Co. has 151 offices in 65 countries, revenue of $73B and net income of $5B. The company invests and trades in iron, steel, minerals, chemicals, energy, electronics, food, vehicles, telecommunications, marine and aerospace. The Chilean Copper Corporation is government owned and posted revenue of $16.0 billion (2010). The company is the largest copper producing company in the world and owns the world's largest known copper reserves and resources. Diversified: Basic Element (Russia) employs 250,000 people worldwide and has assets of $45B. The company focuses on Energy, Manufacturing, Financial Services, Construction and Aviation. Summa Group (Russia) is a diversified private holding with significant investments in the port logistics, engineering, construction, telecommunications, and in the oil and gas sectors. Hydro-Québec is a government-owned utility with revenue of $12B (2010). The APEC CEO Summit is another way business elites can interact with the political elite. The CEO Summit will feature Chinese President Hu Jintao, US President Barack Obama, and Russian President Dmitry Medvedev. There CEO Summit will have a panel on labor but without anyone actually representing labor. "The 21st Century Workforce. Re-envisioned. — How can economies best ensure a healthy, motivated and well-educated workforce for 21st Century prosperity? How can the region most effectively develop and use its talent pools?" The speakers will be Asia Editor of the Financial Times David Pilling; Australian Prime Minister Julia Gillard; ABAC Chair, Procter & Gamble's Deb Henretta; and World Bank Managing Director Sri Mulyani Indrawati. A major focus of Free Trade Agreements (FTAs) is finding ways to minimize labor costs and maximizing outsourcing to those areas. Outsourcing is a passive way of saving we’re firing higher paid workers and replacing them with less well paid workers located in other countries, where the wages are lower, the benefits are lower, and the laws aren’t as strict. The North American Free Trade Agreement (NAFTA) was pushed by Big Businesses which wanted to write the international laws under which they would operate. NAFTA became law in 1994. One focus of NAFTA, APEC and other FTAs is on the free movement of capital between nations. FTAs focus on maximizing profit at the expense of other inputs including labor. Some saw the threat coming. Others came to realize those impacts after NAFTA was implemented. General Electric is the nation’s largest corporation. During the 1970s GE dumped over 1 million pounds of PCBs into New York State’s Hudson River, where almost 200 miles became contaminated. General Electric has decided now to outsource its X-Ray Division to Beijing. Great for business, lousy for labor. Although some businesses manage to find consultants who argue that pouring jobs into a foreign region raises everyone’s paycheck. For the past several years India led in call centers. People who call to inquire about airline reservations, computer malfunctions, or whatever, got someone with an Indian accent. Businesses saw Indian wages rising although they were still far below American wages. Businesses saw American concerns with foreign accents. Therefore businesses found a solution. While India still leads in total outsourcing, the Philippines now lead in total revenue gained from foreign low-end, non-technical, call centers. Filipinos are trained to speak English with “accent neutralization.” So Hawaii residents can fly American airlines and pay foreigners who speak unaccented English to book the travel. 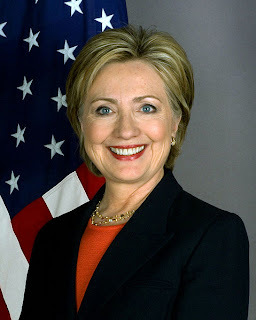 During the 2008 campaign, Senator Hillary Clinton and Barack Obama stressed the need to promote the interests of labor and the environment. The following quotes were made during the election, but as of yet are unfulfilled promises. "I have been a critic of NAFTA from the very beginning. I didn't have a public position on it because I was part of the (Clinton) administration. But when I started running for the Senate, I have been a critic." She further argued, "I was always uncomfortable about certain aspects of it, and I have always made that clear." "Strong, enforceable labor and environmental provisions must be part of the core text of every trade agreements. If they are not, our workers will have to compete on an unfair playing field. That is not acceptable." Free trade agreements include international lawsuits against any form of trade barrier. Free trade ignites a race to the bottom, as governments fight to win the race in lowering corporate taxes, stripping regulatory oversight and cutting social spending. The poor, workers, small farmers, the displaced, indigenous and ethnic organizations, and non-governmental-controlled labor unions nearly unanimously oppose free trade agreements. The first comprehensive Free Trade Agreement signed between the U.S. and any Asian nation was with Singapore. The U.S.-Singapore FTA was completed in 2003 after three years of negotiations. A Singapore company with a U.S. subsidiary can hire non-Singapore workers from other Asian countries such as China, and bring them into the U.S. with L-1 visas. The subsidiary firm can undercut American businesses by paying their foreign workers less and offering less benefits. The AFL-CIO and the International Trade Union Confederation (ITUC) support making workers’ rights the core value in developing a strategy for global economic growth. While Big Business stresses the need to maximize profits, the global labor movement emphasizes the need to increase jobs, protect workers’ rights, minimize trade imbalances and halt unfair trading practices such as currency manipulation. “Occupy Wall Street has captured the imagination and passion of millions of Americans who have lost hope that our nation’s policymakers are speaking for them. We support the protesters in their determination to hold Wall Street accountable and create good jobs. We are proud that today on Wall Street, bus drivers, painters, nurses and utility workers are joining students and homeowners, the unemployed and the underemployed to call for fundamental change. Across America, working people are turning out with their friends and neighbors in parks, congregations and union halls to express their frustration – and anger — about our country’s staggering wealth gap, the lack of work for people who want to work and the corrupting of our politics by business and financial elites. The people who do the work to keep our great country running are being robbed not only of income, but of a voice. It is time for all of us—the 99 percent—to be heard. As we did when we marched on Wall Street last year, working people call on corporations, big banks, and the financial industry to do their part to create good jobs, stop foreclosures and pay their fair share of taxes. Wall Street and corporate America must invest in America: Big corporations should invest some of the $2 trillion in cash they have on hand, and use it to create good jobs. And the banks themselves should be making credit more accessible to small businesses, instead of parking almost $1 trillion at the Federal Reserve. Stop foreclosures: Banks should write down the 14 million mortgages that are underwater and stop the more than 10 million pending foreclosures to stop the downward spiral of our housing markets and inject more than $70 billion into our economy. Fund education and jobs by taxing financial speculation: A tiny tax on financial transactions could raise hundreds of billions in revenue that could fund education and create jobs rebuilding our country. And it would discourage speculation and encourage long term investment. Hyatt is seeking to bust the union and outsource their jobs. Hawai`i Governor Neil Abercrombie held a press conference at the Hawai`i Convention Center on November 7, 2011, the first day of the Asia Pacific Economic Cooperation (APEC) Meetings. He stressed high tech, the military, astronomy, and the politically connected. He concluded by saying that everything is rosy and to ignore those who say otherwise. He did not mention labor, workers, or the general public. Referentia Systems Incorporated and Williams Aerospace succeeded because of political connections and taxpayer funded grants. Referentia Systems Incorporated succeeded financially by getting repeated military grants to develop military software. They made politically corrected donations. Referentia Systems Incorporated executives gave Neil Abercrombie's campaign 12K (2009-10) (Source: followthemoney.org) . They got more federal grants. They now employ nearly 100 people throughout the United States. SenatorInouye: "Referentia Systems Incorporated ...was started in 1996 with a staff of thirty, and now employees ninety-four people at military bases throughout the nation and overseas, with offices in Honolulu, Hawaii; San Diego, California; Albuquerque, New Mexico; and Sterling, Virginia. ...In its earliest years ...secured its first SBIR Phase I award in 2004. Since then, Referentia was awarded thirteen more SBIR Phase I and seven SBIR Phase II grants." In 2011 Referentia Systems Incorporated Wins $9.92 Million Federal Contract by the U.S. Naval Air Warfare Center Aircraft Division, Lakehurst, N.J., for the development and demonstration of a cross-aircraft-platform ground-based data management and analysis capability. I asked the Governor: “Are there any downsides to APEC?” and he replied “Not for us.” He noted that “There are a whole lot of people, I'm sorry to say, a vested emotional interest in always seeing us on the losing side.” Perhaps they are part of the 70% who have come to distrust Abercrombie’s need to attack anything and everything, or perhaps they arthe 99% majority. Gov. Abercrombie stopped by the HECO booth and told Darren Pai that China is leading the world in clean energy. He then asked: Have you talked to the Chinese about money? 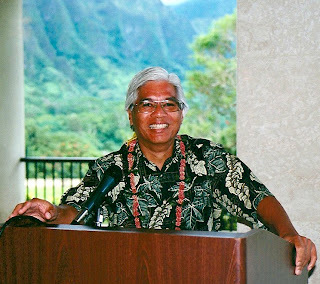 Civil Beat must be commended for publishing on November 2, 2011, a commentary by Reverend Samuel Lawrence Domingo, Pastor of Keolumana United Methodist Church, and President of Faith Action for Community Equity (FACE Oahu). “We welcome all of the delegates to APEC with Aloha. However we cannot keep silent about the subject of the talks that world leaders are engaging in while they are here. APEC is the Pacific version of an emerging system of supra-national governance – economic globalization - that is eroding the basis of national identity and sovereignty. Free Trade Agreements subject the laws that cities, states, provinces, and even nations make to an unelected set of international financiers. These finance capitalists from Goldman Sachs to Singapore’s Sovereign Wealth Fund are gathering in Hawaii next week and making plans that could, if passed without changes, restrict our ability to govern ourselves. This is an area of grave concern for churches, temples and other institutions of civil society. On the table for APEC is the Trans-Pacific Partnership (or TPP) which is the first trade deal initiated by President Obama’s White House. 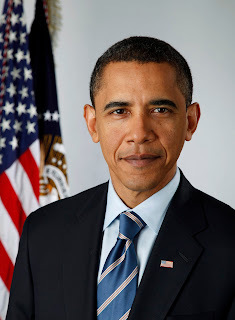 As a candidate Obama made strong commitments to conduct trade deals differently than his predecessors. He stood up not only for the environmental and labor protections that were lacking in NAFTA, CAFTA, and the more recent South Korean and Colombian free trade deals – but also for the need to protect America from the job losses that these past agreements inflicted on us. I pray that the President holds firmly to his original vision, but leaked early drafts of the plans look like the same old thing. And the same old thing is bad news for the 99 percent in our country. When billionaire candidate Ross Perot ran for office he predicted that after passage of NAFTA, we’d hear a giant sucking sound of jobs leaving the country — and 20 years later there are 2 million less American manufacturing jobs thanks mostly to NAFTA, GATT, and their successor agreements. The net effect of these agreements has been to create a worldwide race to the bottom, so that investors move factories to the countries with the least restrictions on child or slave labor, the least environmental and safety standards. Meanwhile the terms of the trade deal forces us to accept these goods as if they were made in our own country. This isn’t just bad because trade agreements like the proposed TPP being discussed next week prevent us from protecting keiki from lead paint in toys, or labeling tuna “Dolphin Safe” (a label that has been struck down last spring by the WTO as “too restrictive on trade”). It is also bad because manufacturing is the basis for American prosperity. Manufacturing turns raw goods into finished products, adding value to the economy. Countries with strong manufacturing sectors get rich off this virtuous cycle, the way China is doing today. Trade deals like this one are killing manufacturing in America at the expense of the middle class, but to the benefit of the investor class who are loyal to quarterly stock earnings above God and country. In Hawai’i this isn’t an abstract problem since some of the jobs sucked out by past trade agreements were ours. Over the last 20 years Hawaii lost almost all of our remaining sugar and pineapple to Mexico, displacing thousands of workers, and stripping diversity from the local economy. The collapse of our agricultural sector has also paved the way for urban sprawl, not only on Oahu but increasingly on Maui as well. The effect of the economic globalization represented by APEC is to flatten the difference between nations and cultures. It disintegrates values, customs and beliefs that are local. In Hawai’i we highly value the sense of local; it is a word charged with meaning for us. And we’ve all watched over the years as that sense of local identity has weakened. Liberty House becomes Macy’s, Hyatt becomes Goldman Sachs, the Wisteria disappears, and Honolulu gets another Cheesecake Factory. When an international hedge fund buys Turtle Bay, they ban the shaka and try to close the beaches to local people. But cultural identity and nostalgia are not the main problem in front of us. 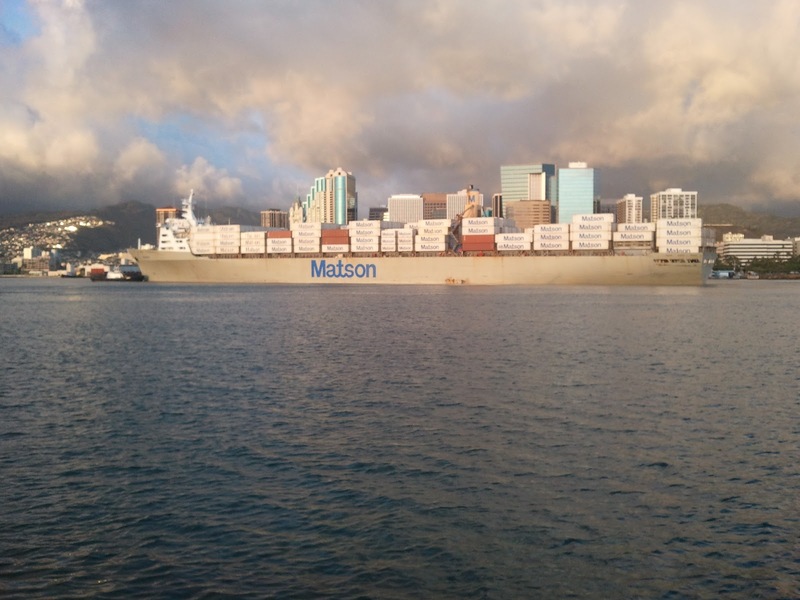 The current draft TPP contemplates a number of provisions which hurt Hawai’i’s ability to govern itself. One part of the draft talks about limiting government abilities to negotiate drug prices in a block. Another provision limits public procurement programs – curtailing any kind of buy local preferences we might want to enact down the road. Australia and New Zealand have pushed for these kinds of provisions to be abandoned, as did Candidate Obama. The question is will President Obama require these reforms before signing off on the TPP? FACE is a small faith based organization, located in the most isolated place on earth, a small island chain in a very big world. Usually our work is limited to the things that are right in front of us – the first issue we ever worked on was reserved seating for the elderly on theBus. Our members are churches and temples, we are not politically sophisticated, nor wealthy nor powerful. But churches are the places where people come for some of the most important moments of their lives – baptisms, marriages, and funerals. As pastors we are therefore in a good position to see clearly the beauty of life and we cherish these things above profit margins and stock index numbers. Unsophisticated we may be, but we understand context, we can see that the foreclosures all around us are traced back to the violent and limitless greed pumping through the heart of Wall Street. We are inspired by the young people occupying the parks in New York and around the world. this took a lot of work to compile -- thanks Henry! and thanks DN. A fascinating and important read. actually the first comprehensive free trade agreement between the US and an Asian country was the Treaty of Amity and Commerce between Siam and the United States in 1833 -- not to mention all of the not quite so comprehensive "free trade" like treaties imposed on China and Japan in the mid 1800s. i don't disagree that neoliberal wholesale demolition of all trade barriers is not a good thing. however, should the focus be on stopping the lowering costs of production/transaction or on improving the working conditions of those not in the US so that working conditions is no longer a differential for capitalists to extract surplus value from cynically using national borders? the way the US engages in economic protectionism, while promoting free trade elsewhere, seems to be detrimental to third world workers and does not promote or uplift our own working conditions.